Football – For the Clueless! Super Bowl Sunday is just a few days away! Families and friends will be gathering together, putting out grand and delicious spreads of food and boisterously cheering their favorite teams toward a victory. But alas, I’m afraid that there will be many party goers that, as one of my sisters recently said, will only be there for the food. Now, I’m not an avid football fan, but I did go through a “daddy’s girl” phase as a young teenager. I learned all about sports, football, basketball, baseball, even boxing and I went to many sporting events with my dad. Not being athletic myself I wanted to become a sportscaster, an aspiration that I’ve long since outgrown. An awesome outcome of my childhood fascination with sports is that I have a pretty good basic idea of the rules of most games. This definitely comes in handy when the hubby scores box seat tickets to an NBA Jazz game or when the family has a Super Bowl Party! It makes those experiences so much more enjoyable. So I thought I’d write a post to share the basic rules of Football, and help some people enjoy their Super Bowl Parties just a little bit more. This is by no means an exhaustive list of the rules of Football. It’s just a basic outline for those without an understanding of the game, to give a general knowledge of Football so they can enjoy the game more. So if you happen to fit that description here it is . . . The game of Football is played by two teams of eleven players each. It is played on a 100 yard field, divided in half, with 50 yards marked off on each side. The goal of each team is to move the football into the end zone of the goal they are facing, either by making a Touchdown or by kicking a Field Goal. The game begins with a coin toss. The winning team has the option to kick or receive the ball. The team that kicks the ball is playing Defense and the team receiving the ball is playing Offensive. The offense receives and moves the ball as far as they can toward their goal. They then have four Downs (tries) to move the ball ten yards. The ball is hiked to the quarterback who then either runs with the ball, hands it off or throws a pass to another player on his team as they attempt to move the football toward their goal. The defensive team attempts to prevent the offense from moving the ball. A down ends when the offensive player with the ball is tackled by a defensive player, runs out of bounds or if the ball is intercepted by a defensive player. If the ball is intercepted by the opposing team, that team takes possession of the ball and then has four downs to move the ball ten yards toward their own goal. Each down begins at the point the player carrying the ball touched the ground or ran out of bounds. If the offense succeeds in moving the ball tens yards then they get another First Down (four more tries to move the ball another ten yards). If the offense succeeds in running the ball into the end zone, they’ve made a Touchdown and earned Six Points. They then are allowed to kick the ball in an attempt to put it through the goal posts. If they’re successful they earn an additional point (Extra Point). If the offense is close enough to the goal on their fourth down they may elect to kick a Field Goal (kick the ball through the goal posts). If the field goal is successful they earn Three Points. After a touchdown or a field goal attempt the ball is kicked off to the opposite team. If the offense does not succeed in moving the ball 10 yards and they are not within field goal range they then kick the ball to the opposing team on their fourth down. The team who receives the ball moves it as far as they are able, toward their goal. That team then has four downs to move the ball ten yards and the game proceeds as indicated above. The game is played in four quarters with the teams switching goals each quarter. The second half of the game begins with the opposite team receiving the ball, than the team that received it at the beginning of the game. At the end of all four quarters of play, The Team with the Most Points is the Winner of the Football Game! There are, of course, various other rules, and violations thereof, that affect the game (most of which I do not know). However, the above is a basic premise of how the game of Football is played. An understanding of the above should give you enough of a general knowledge of the game of football to allow you to watch and follow the competition. So take this new found knowledge and Enjoy the Game (and the Food and the Company)! I have always enjoyed watching football and it is a nice fresher course on the rules of the game. Thanks for linking up with Blogging Grandmothers. Thank you Amber, glad you enjoyed it! Great Sarah, glad I could help! I love football and this is a great breakdown of how football is played. Thanks! That makes me feel more confident about the post. Kristina, it is more fun when you understand what’s going on! Love this! I should probably refer to it often! 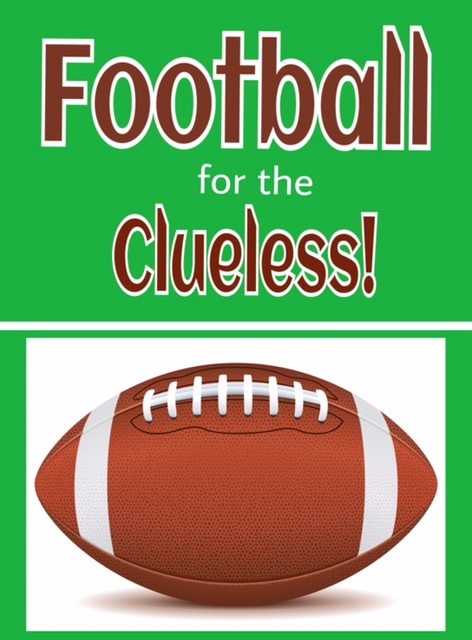 Now we know 🙂 I don’t watch sports unless a grandbaby is playing but a terrific post for those who like watching it and needed to know all about how to play 🙂 Thank you Lori for sharing at #BloggingGrandmothers #LinkUp #BlogParty. I shared on Pinterest and Google+ but couldn’t get your button to work for Twitter and Facebook. A terrific course and easy for anyone to follow. Thank you for pulling this together and for sharing with Blogging Grandmothers. I have shared on my social media. As a Brit that moved to the US three years ago, I literally have no idea what is going on! haha, thanks for the tips! You’re very welcome, hope they help!